Barry Brody, Ph.D., L.M.F.T. 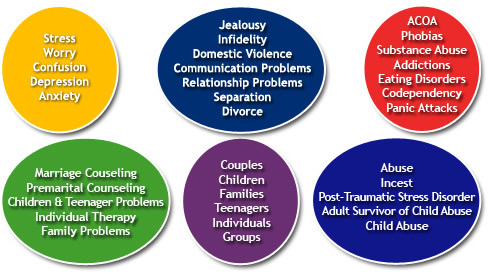 is a licensed marriage and family therapist with a Ph.D. in clinical psychology. Dr. Brody has over 35 years experience working with patients and is a clinical member of the American Association for Marriage and Family Therapy. Dr. Brody has his private practice in Lake City, Florida. He also maintains a forensic mental health practice and is an expert on Parental Alienation Syndrome. Click here to read more about Parental Alienation Syndrome. Dr. Brody has also published several articles for the public on mental health issues and therapy. You can read these articles here. Feel free to contact Dr. Brody with questions or to arrange an appointment. You can reach Dr. Brody at 386-755-1720 or via e-mail at: drbrody@drbarrybrody.com. Dr. Brody answers his telephone personally and responds promptly to all e-mail. Copyright ©2007 Dr. Barry Brody. All Rights Reserved.